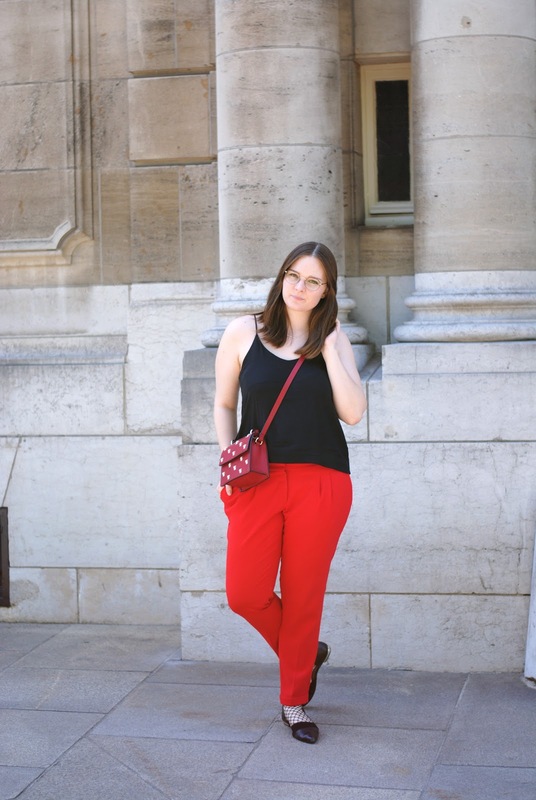 Recently I was in the mood to wear these red pants again, which I've bought several years ago as this and this outfit post will prove. However if I hadn't told you, you probably wouldn't have been able to tell when I bought these pants. They could just as well be vintage, couldn't they? So what I'm trying to say here is that it's always nice to follow new trends, but that you don't need new clothes to be trendy. In fact the only new item I wore here are the fishnet socks which are this year's big thing. All other clothes are from last year or older. 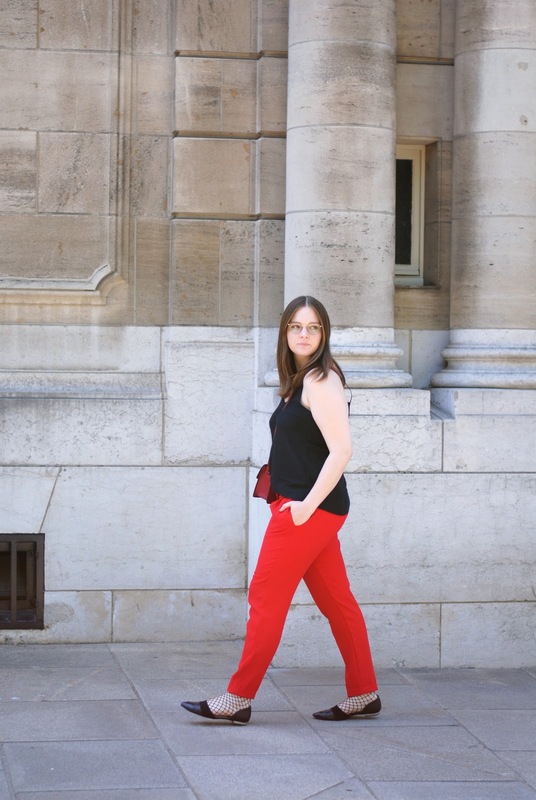 I know I'm not always an inspiration when it comes to the latest trends, but what I try to do with my outfit posts is show you that sometimes all you need is a new combination, and not a bag full of new clothes. Which combination for these pants did you like best so far? 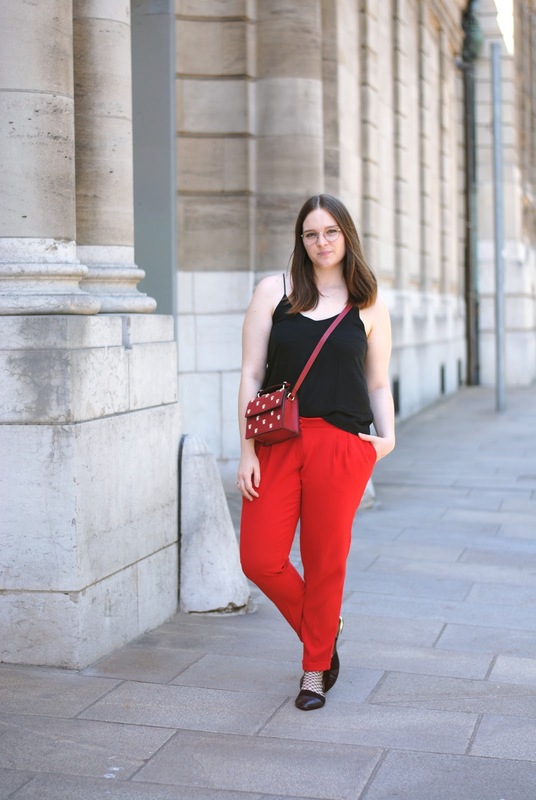 Today's red and black combination, the statement necklace look, or the classy blazer outfit?